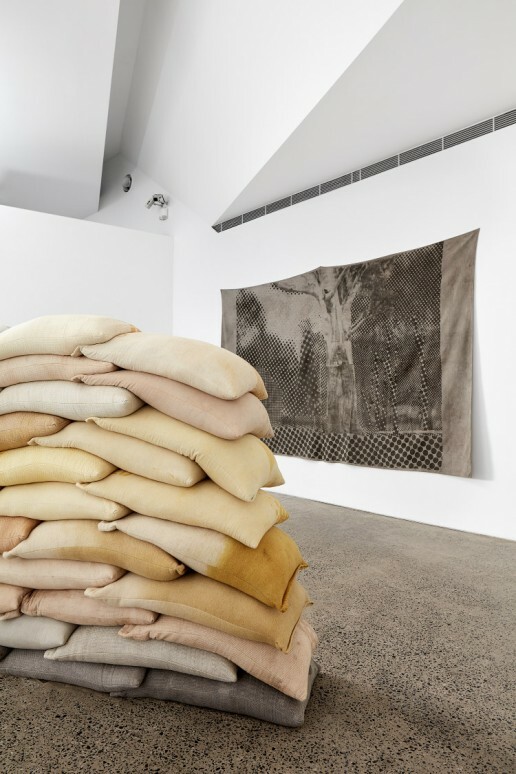 In this installation Melbourne-based artist Rebecca Mayo considers the local environment of Heide in relation to broader climate issues. 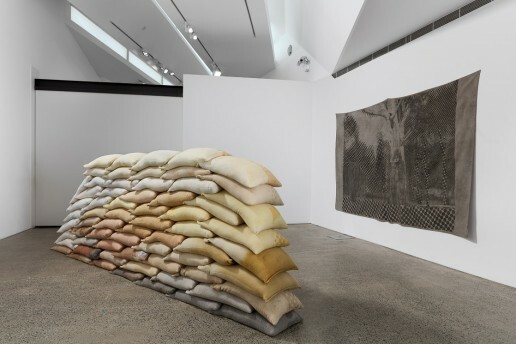 The centrepiece is a wall of sandbags printed with dyes made from indigenous and introduced plants collected in the museum’s gardens and nearby. 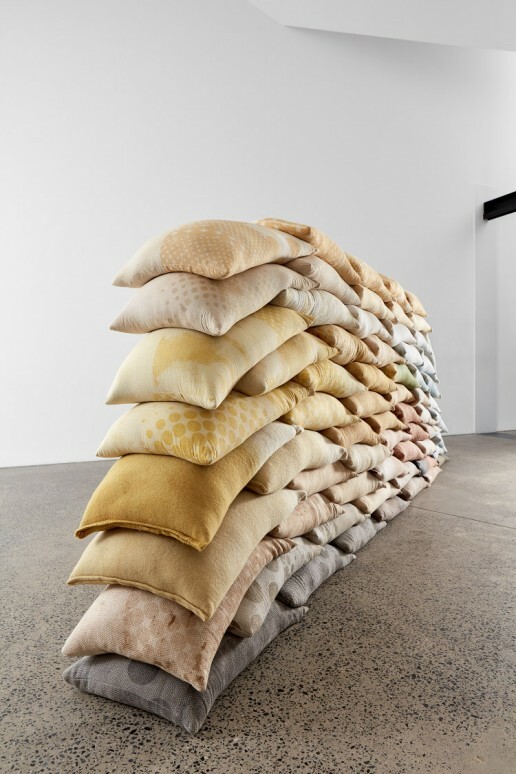 Arranged like geological strata, the sandbags allude to the physical changes imposed on this site since colonisation, while also symbolising the cumulative impact of everyday and habitual practices. 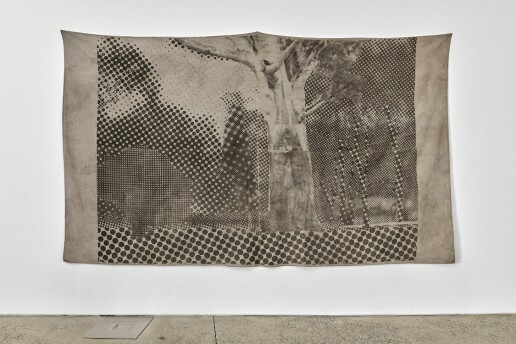 The image screenprinted on the sandbags—seen in full on the adjacent wall—depicts Yingabeal, a majestic river red gum and scarred tree located on the crest of the hill above this gallery. Chosen as a marker tree by the Wurundjeri-willam people, it signifies the convergence of five Songlines, one of which—to the east—is a flood line. An estimated 400–500 years old, Yingabeal has been a silent witness to Heide’s dramatic transformation. Once an open forest providing amply for its traditional custodians, the property was part of a sheep station from 1837, its trees felled to build the fledgling settlement of Melbourne. 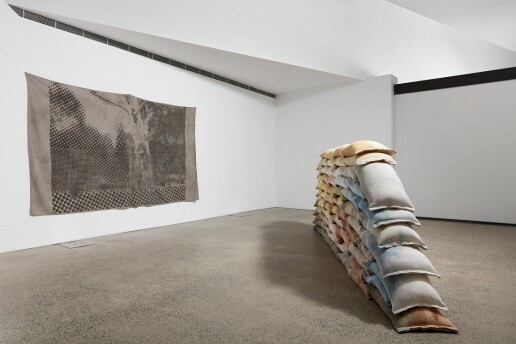 After acquiring Heide in 1934 John and Sunday Reed, influenced by the ‘back to the land’ movement, began to replant the denuded farm, creating a place to physically and spiritually nourish themselves and nurture the development of a new Australian art. The title of the installation, Habitus, refers to how our daily practices and social actions are formed by cultural and personal histories. A concept dating back to Aristotle and reprised by the French sociologist Pierre Bourdieu, ‘habitus’, as a physical embodiment of our social and cultural experience, affects how we engage with the world, and in turn changes that world—so each evolve and adapt. 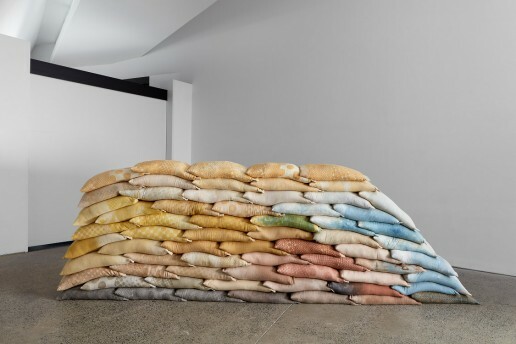 Mayo’s installation suggests that if we are to have a sustainable future we need to understand the histories that have shaped us and our environment, in order to adopt less destructive habits.